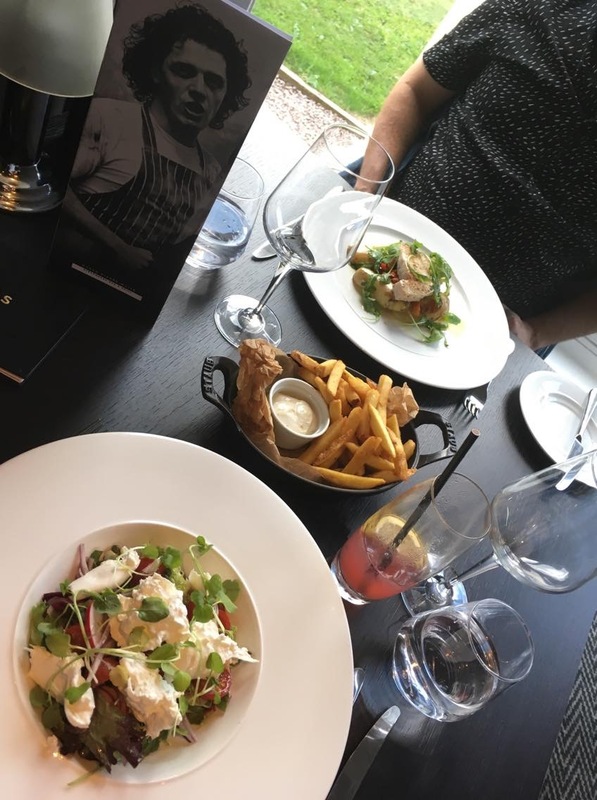 We Are Chester writer Tori Erskine was invited to sample the new summer menu at Marco Pierre White Steakhouse Bar and Grill at the DoubleTree by Hilton in Chester. Photos: Tori Erskine. As the sun has been shining out above the city over the past few weeks, what better way to continue to enjoy the beautiful weather than by testing out the new summer menu at the Marco Pierre White Steakhouse Bar & Grill restaurant? Situated in the beautiful DoubleTree by Hilton Hotel just outside of Hoole, the hotel is a perfect serene setting without feeling a million miles out of the city. Having worked in hospitality for a number of years, I know how important it is to get a summer menu perfected, and how exciting it is to try all the new dishes! I had brought along my other half for the evening who has a nut allergy. Amy our waitress and the team were really accommodating for the allergy, and ensured that the dishes he ordered would be suitable to try. From a first glance at the menu, you notice the variety of starters to choose from, and instantly you recognise how fresh and vibrant they all sound. Nat went for the Crispy shredded duck salad (dandelion radishes, gem lettuce and coriander dressing). The duck was succulent whilst not too filling, which is perfect for a starter dish. I went for Chilled Andalusian tomato soup with fresh basil (red and yellow pepper, hen’s eggs, basil oil). Whilst chilled soup may not be everyone’s cup of tea, I was pleasantly surprised! Even though the soup was chilled, the spices brought aromatic heat to the dish which compensated for the cool soup. I was surprised not to see any chicken on the menu, but I was determined to go for a main I wouldn’t usually go for. I tried the Young burrara cheese, Panzanella salad (Piccolo cherry tomatoes, red onion, baby caper, merlot dressing), this for me was the perfect summer dish. The salad was so fresh, and the vegetables and the cheese complimented each other wonderfully. Whilst I opted for a salad, Nat ordered the Swordfish steak with ratatouille (Season Jersey royals, extra virgin olive oil). The swordfish literally melted in your mouth, and was paired perfectly with the ratatouille. As there were two of us we decided to share a side – however they’re so good you won’t want to share! The truffle fries, were beautiful, slightly crispy and accompanied by a gorgeous creamy dressing. Finally dessert. I often find it hard to find a dessert I like in restaurants, but this had the perfect variety to choose from. The menu had been so popular over the course of the week there were none from the summer menu left! But the staff kindly let us choose from the main dessert menu. I would have gone for the Strawberries and panna cotta, but these desserts were the perfect sweet treat also! The Classic dark chocolate mousse was creamy, but not overly thick and heavy like some mousse that can be quite sickly – particularly at the end of a three course meal! Likewise, Nat’s choice of Baked vanilla cheesecake with fresh blueberry sauce was also light and creamy, and the perfect way to end the meal. As the summer weather is (hopefully) set to continue over the forthcoming weeks, I definitely recommend heading over to the Double Tree Hotel’s Marco Pierre White Steakhouse Bar & Grill Chester to try their new summer menu. You can treat yourself to two courses for £20, or three courses for just an additional £3.50. You can find out more about the restaurant and its menus, and also book a table here.